I am going to do something different this time. I will review (sort of) restaurants in my current city, Bandung. 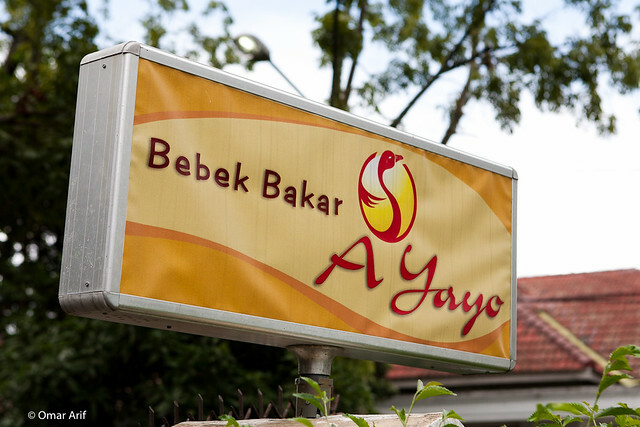 In this post, I will tell you about "Bebek A Yayo". This idea come to mind when I invited one of my friend to eat fried duck in one of my favorite restaurant, "Bebek Garang". 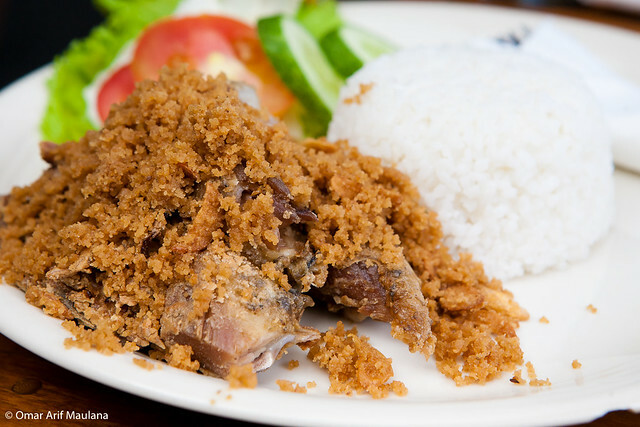 Then she told me that I should try to eat in "Bebek A Yayo", she said that it's "bebek dari surga" (fried duck from heaven). I laughed at first thinking she exaggerated the whole thing, but we'll see later =P. parking space has become quite a problem. It only fit for 4 cars, and several motorcycles. I think the outdoor area is too close to the parking lot, so customer might be bothered by smoke and noise from vehicles parked. 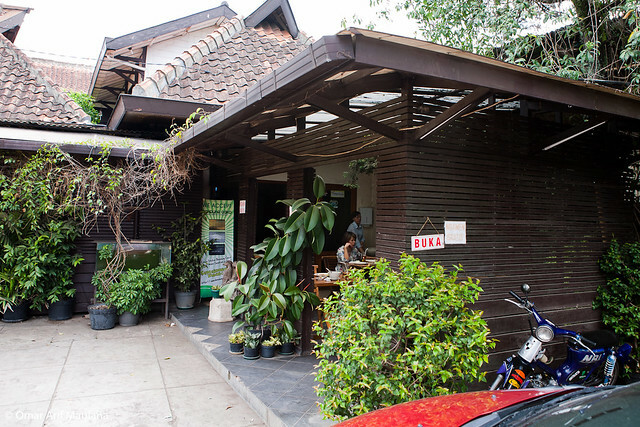 The food here is reasonably priced, ranging from 20.000 to 30.000-ish Rupiahs for food. 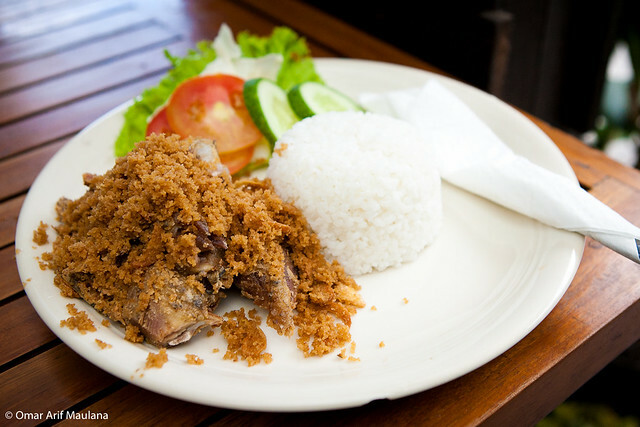 This time I ordered "Paket Bebek Goreng", it costs 30.000 Rupiahs and drink are already included (ice tea). 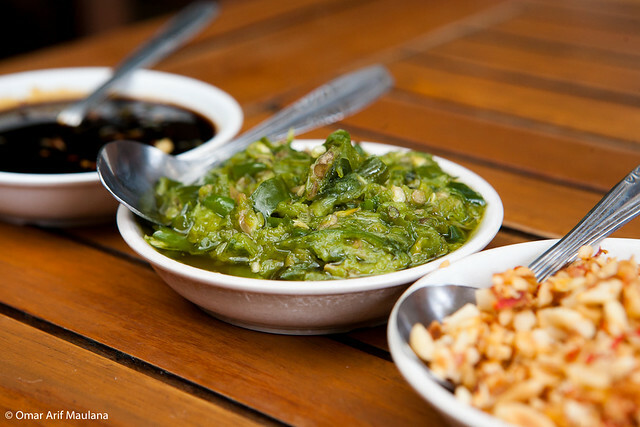 Waiting for my food to come, the waiter first served the "Sambal". Because I was very hungry at the time, I tried each one. The one made from peanut (right one) is not spicy at all, but it's good as snack. 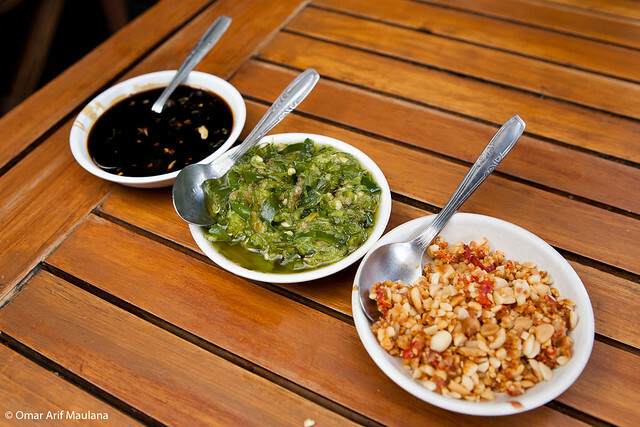 The middle one is called "Sambel Hijau", it tastes pretty much the same like sambal hijau found in most Padang restaurants, and the soy sambal, tastes well. . . . like most soy sambal. After waited for about 15 minutes, my food finally arrived. My first impression is good, the duck is quite large if compared to the amount of rice served, the rice is not small. I can tell the duck is cooked properly because the meat is very tender, if you bite it, the meat won't stick between your teeth. You can separate the meat from the bone easily, and actually there is little bone here, it's all meat. The taste is also very good, the savoury flavour really sipped inside the meat because it was cooked in a pressure cooker. I really know this because I was sick at the time, so my taste buds aren't working properly, and It still tastes really good! I don't really know how to put it in words, perhaps a photo will speak better. So here it is, my first review (sort of :p ) about a restaurant. I know reviewing one menu is not really reviewing the whole restaurant, but with a limited budget this is all I can do (for now). I hope you guys enjoy my review (sort of), cheers!